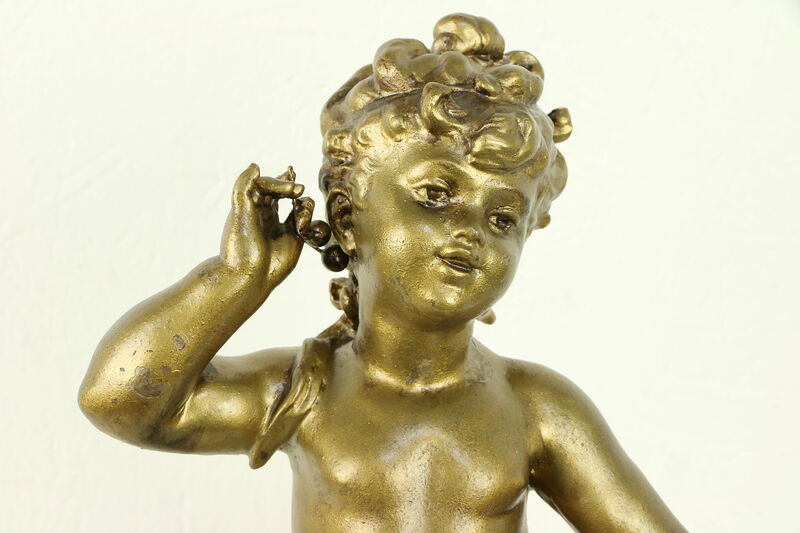 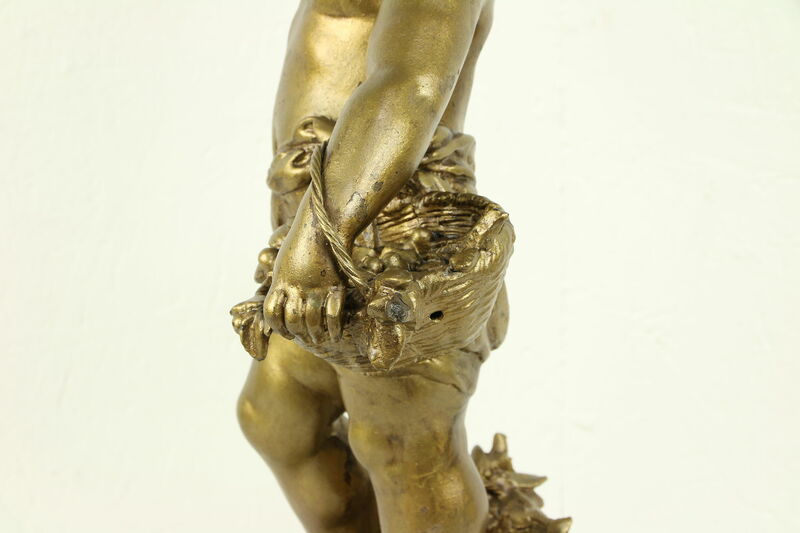 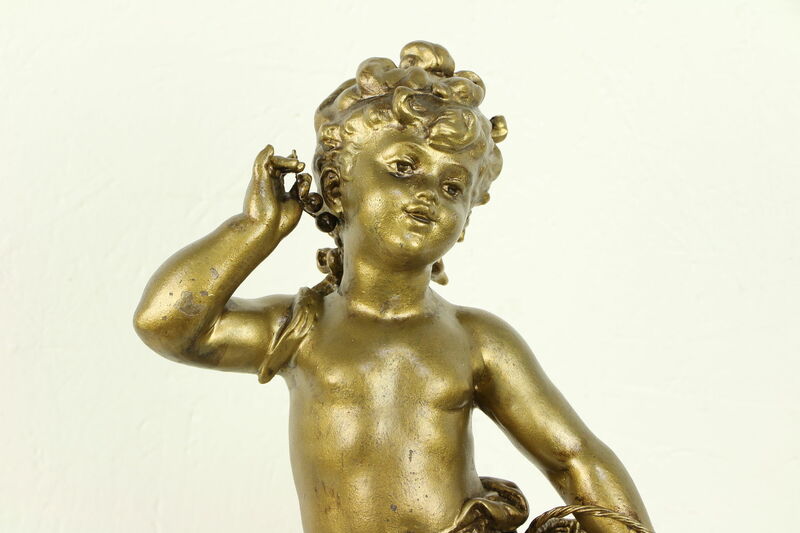 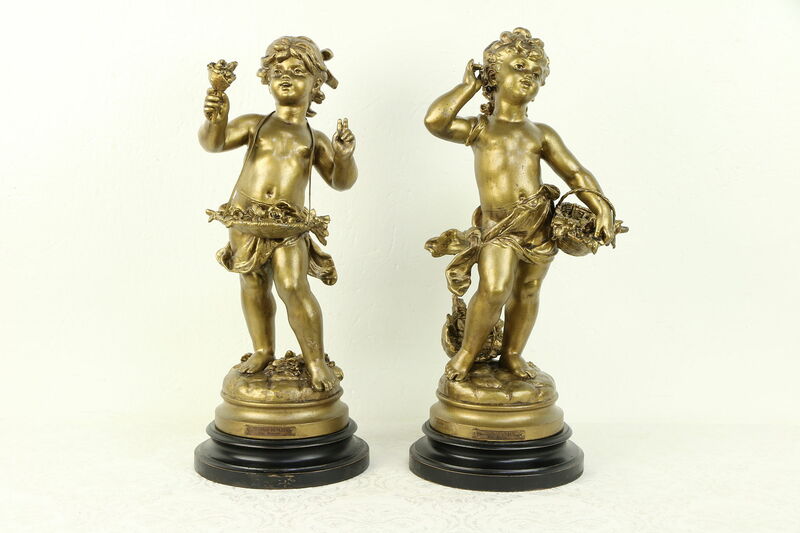 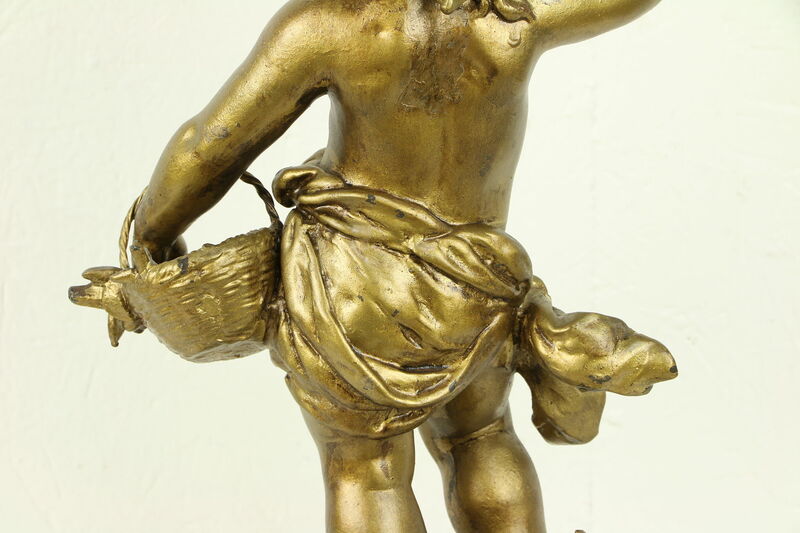 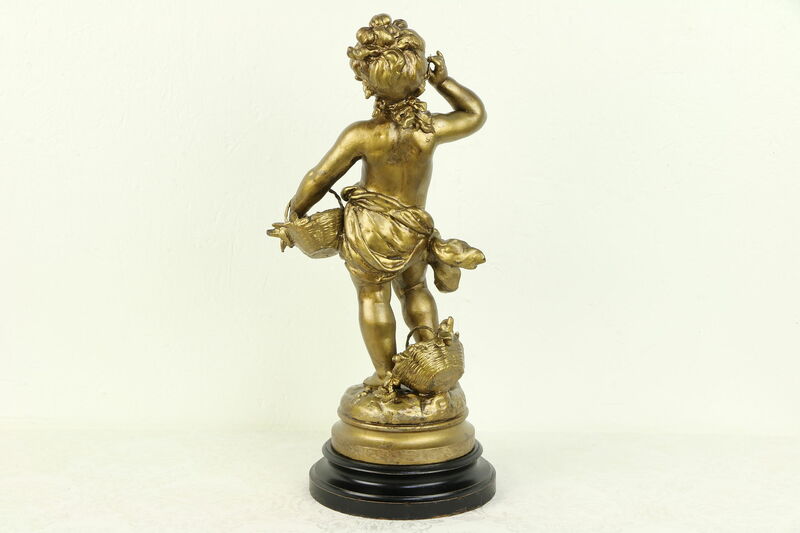 A sculpture from around 1900 depicts "Marchande de Cerises," The Cherry Seller, signed "Hip. 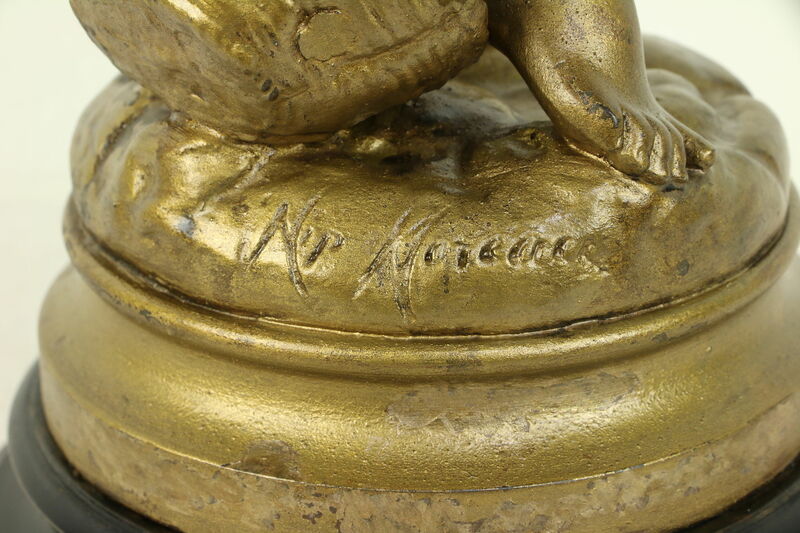 Moreau." 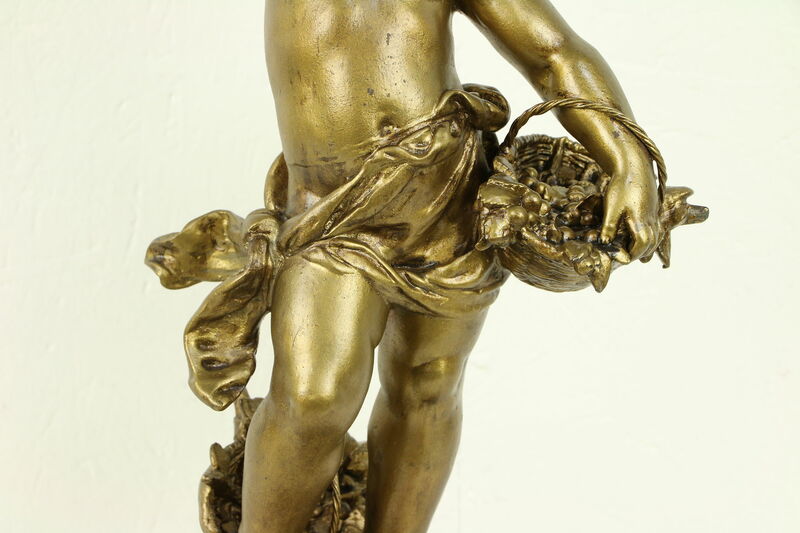 This Art Nouveau work of art is naturalistic and graceful. 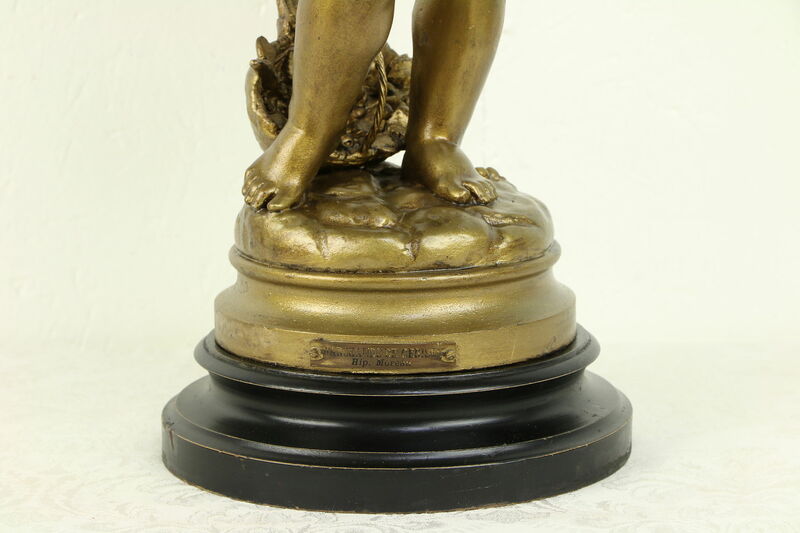 Hippolyte Francois Moreau (1832-1927) was one of the famous French family of sculptors. 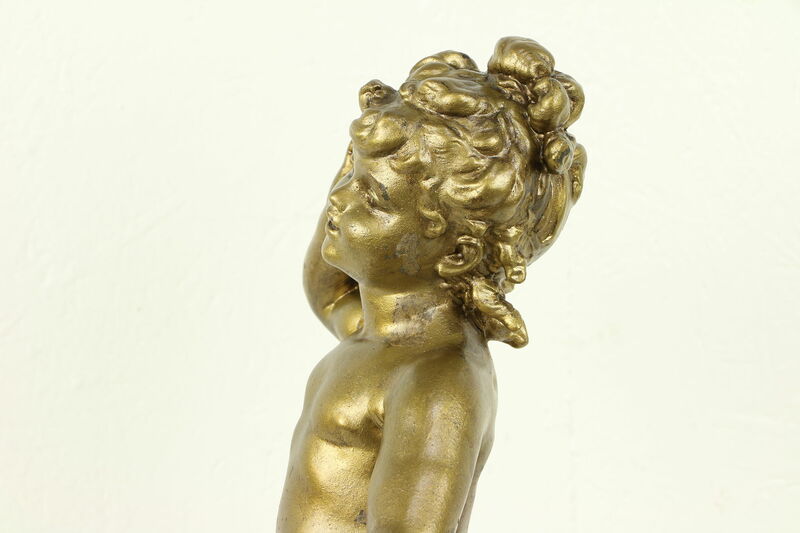 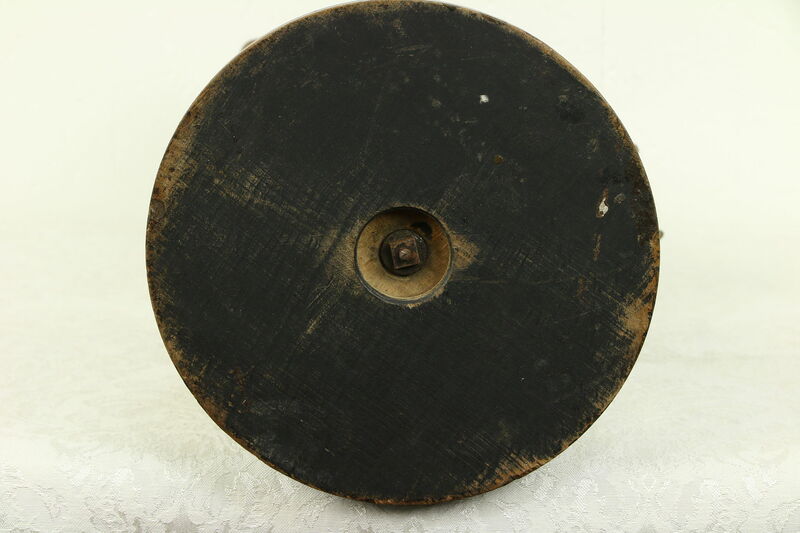 He studied in Paris with his brothers, and won medals at the World's Fair in 1878 and 1900. 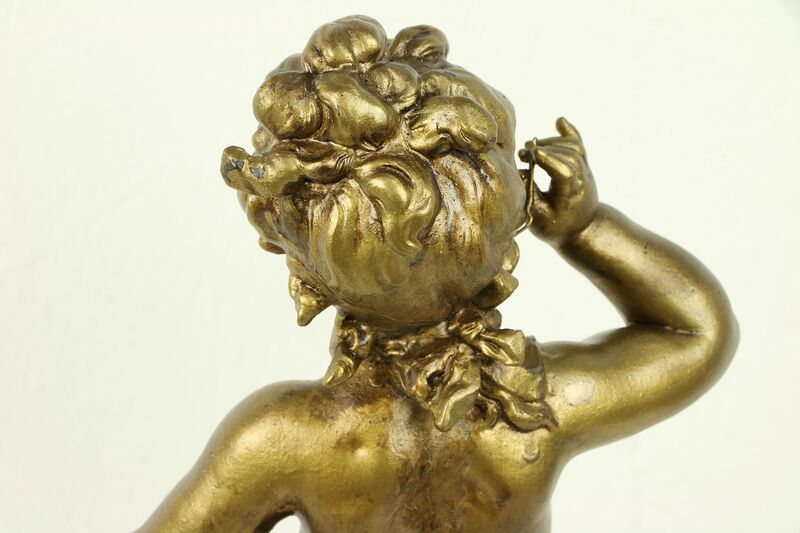 His work is in museums across the world, with the largest collection at the Museum of Fine Arts in Dijon, France. 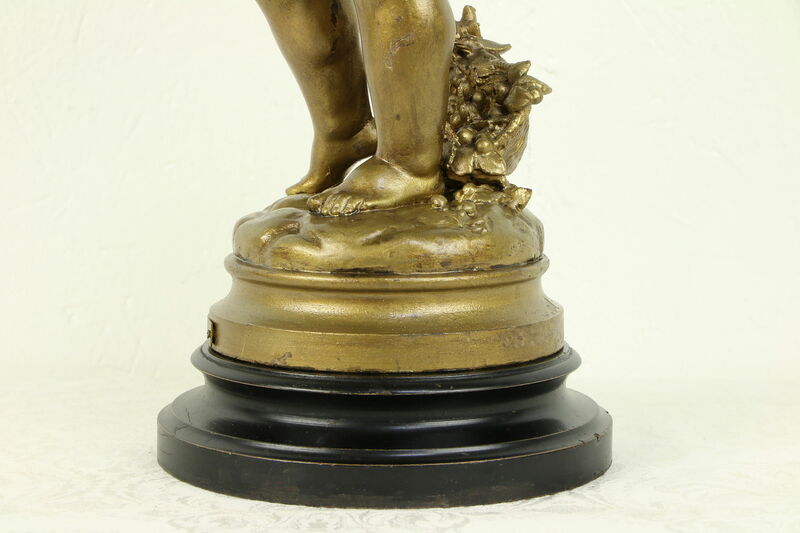 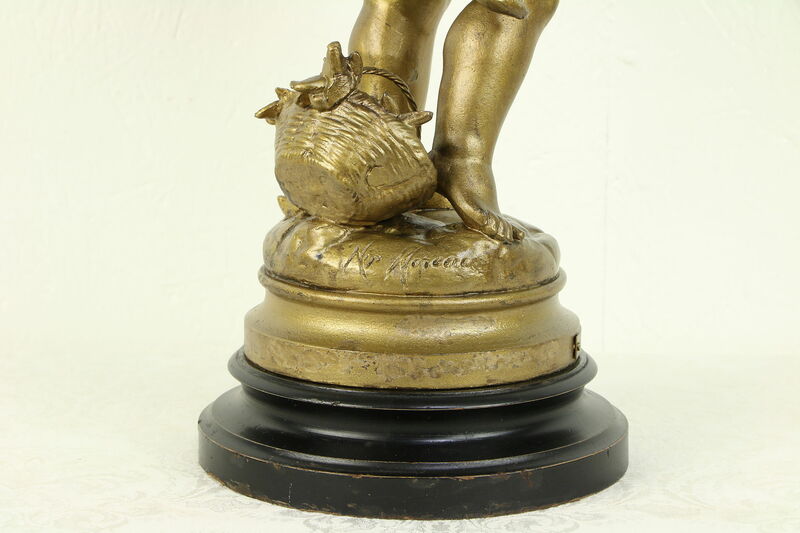 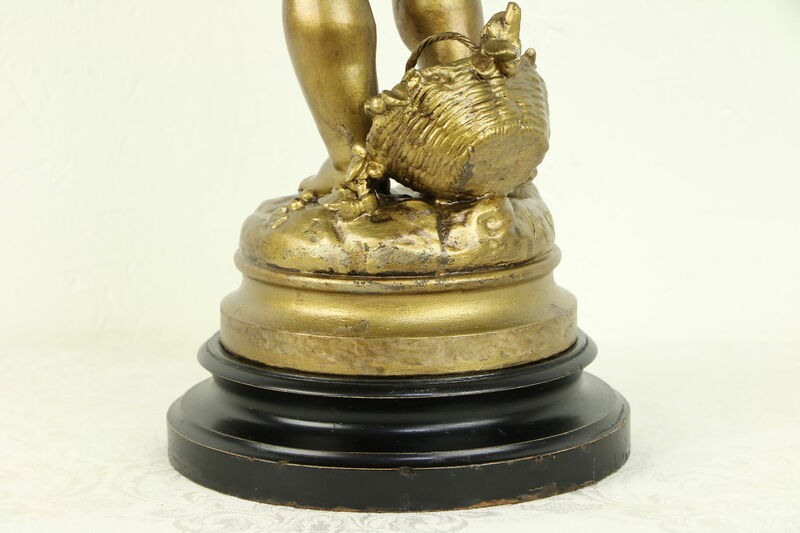 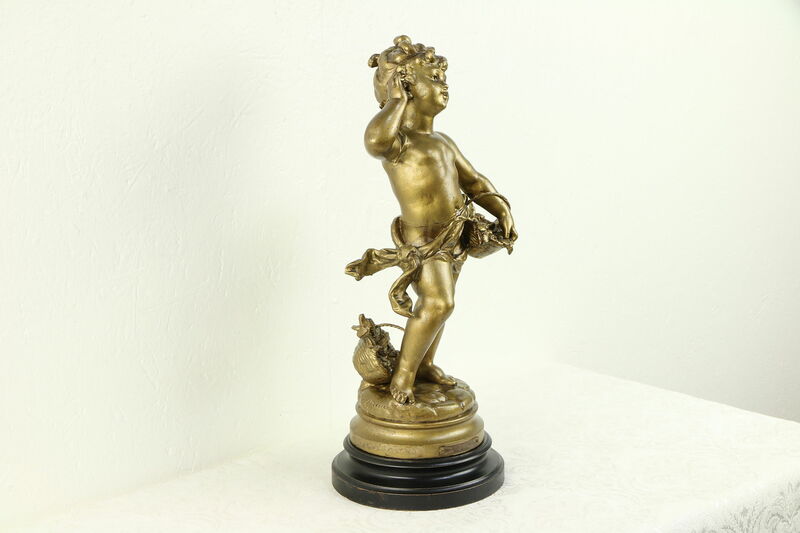 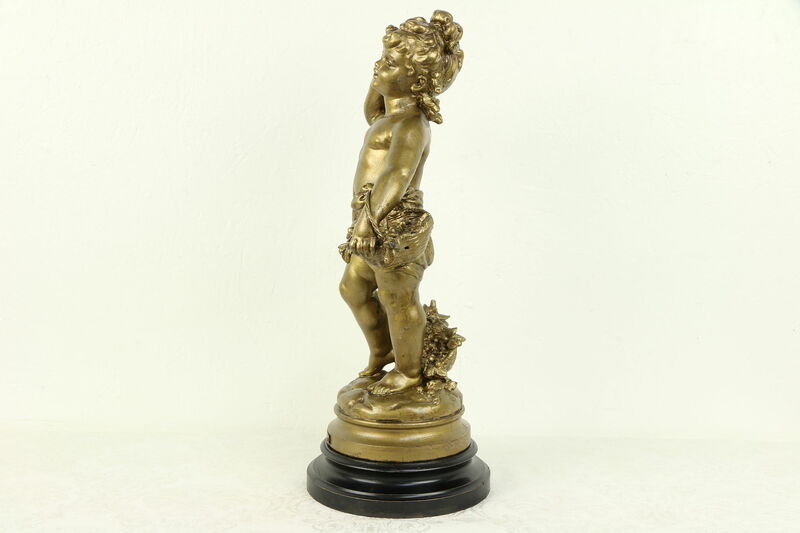 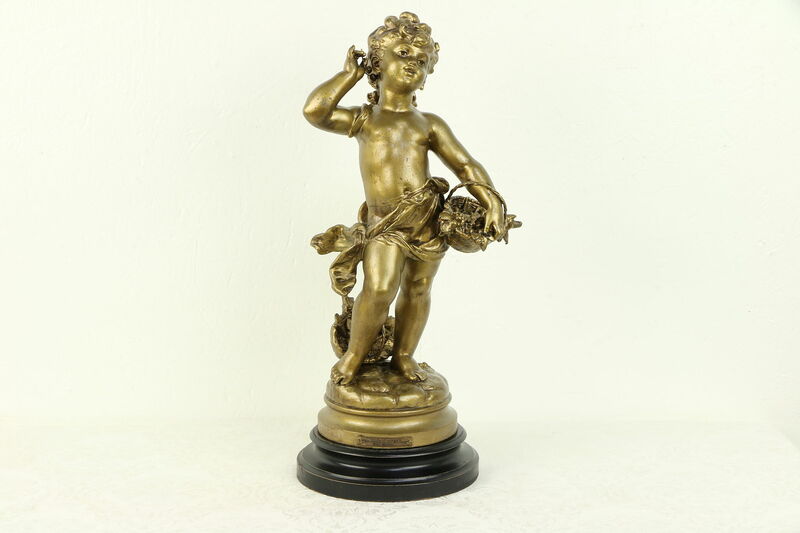 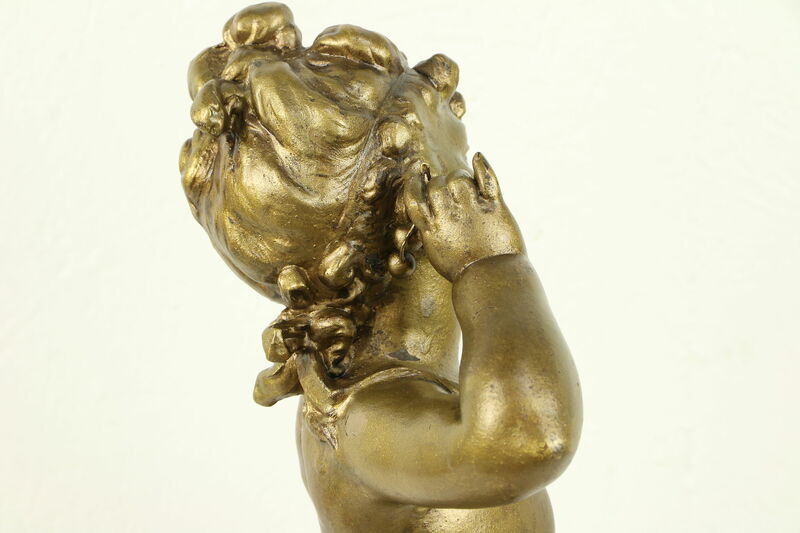 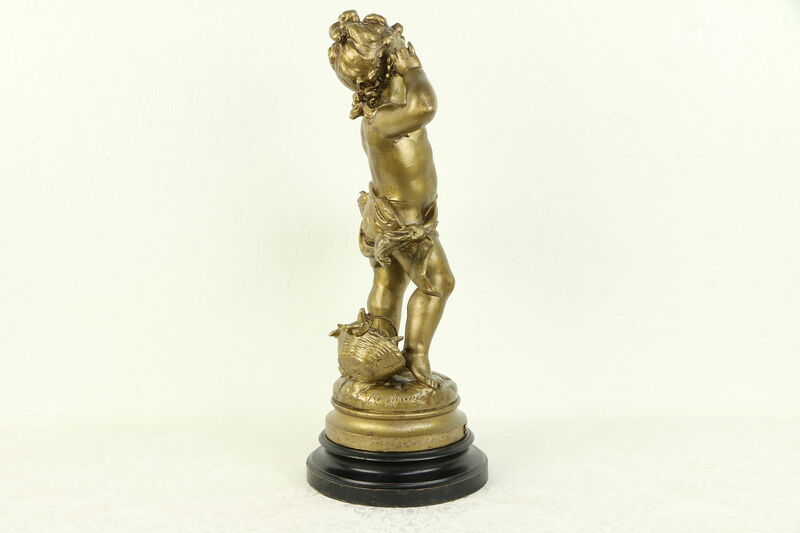 Cast in spelter, a white metal alloy similar to pewter, the statue is mounted on a wooden base. 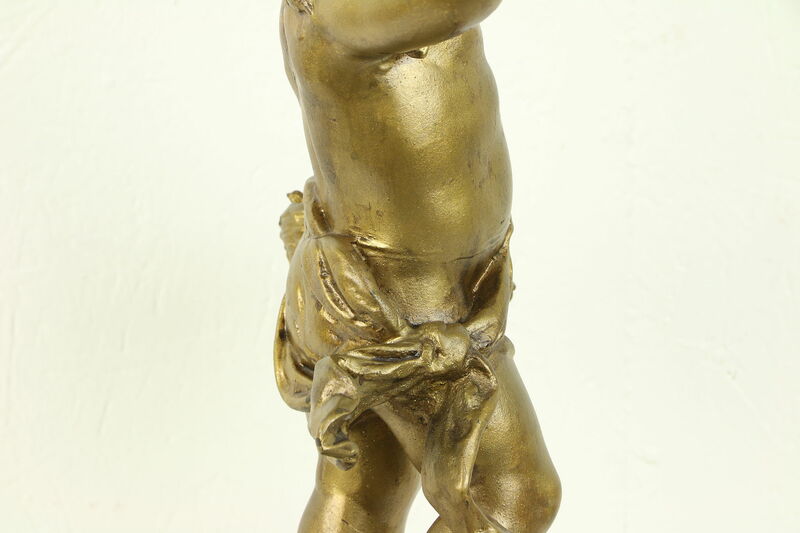 There are minor touchups to the gilt finish. 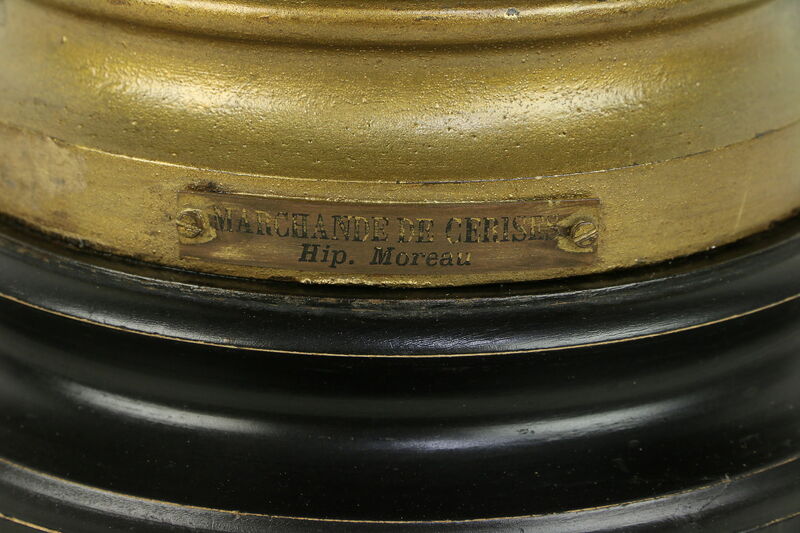 Measurements are 9" x 7" and 18" tall.